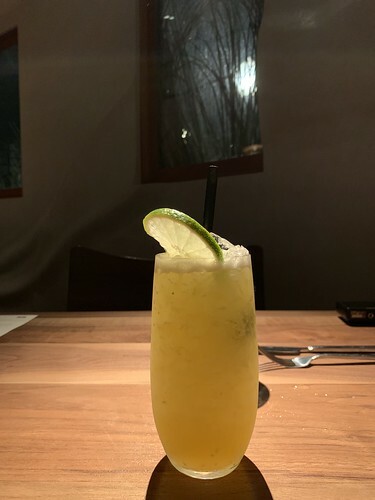 After recently moving to Woodland Hills, I started checking out the places near my new neighborhood, including the Malibu Wines & Beer Garden in West Hills. The wine and beer garden is the sister tasting room of Malibu Wines and it's set in an old Spanish estate. It's a beautiful spot to drink outdoors. They serve Malibu wines (Semler and Saddlerock) as a tasting or by the glass, as well as selling them by the bottles. 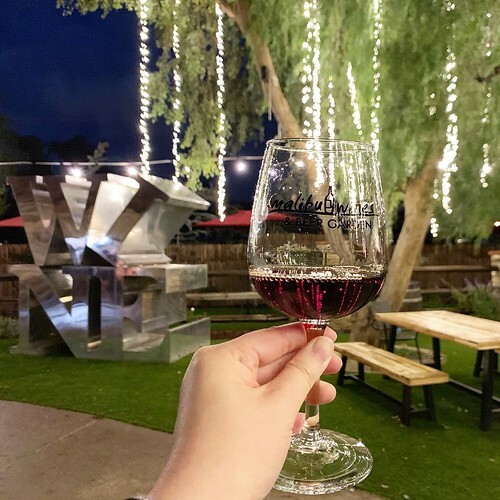 On top of the wines, they also offer a solid selection of local craft beers including from Five Threads Brewing (Westlake Village), Craftsman Brewing (Pasadena), Modern Times (San Diego) and more. 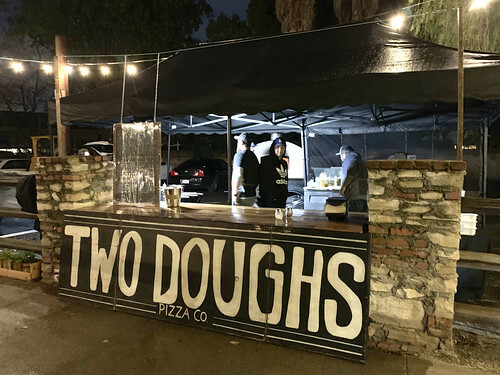 On the weekends, they also have food vendors, like Two Doughs Pizza Co.
Los Balcones has been dishing up traditional Peruvian food for a few years now in LA, but the Studio City location (which took over the old Girasol space) has partnered up with Chef Ricardo Zarate to revamp the whole menu along with chef Polit Castillo. 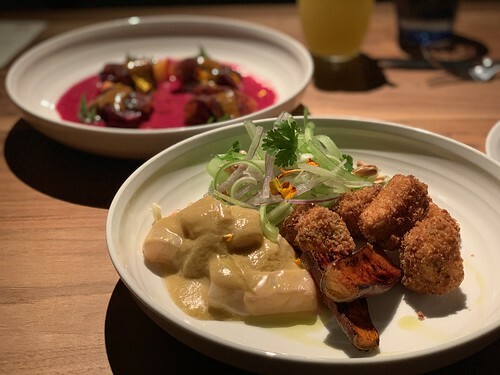 The result is mestizo cuisine, referring to the multicultural influence both in Peru and on the menu, in particular the mix of Peruvian and Spanish cultures. Is this not the most beautiful tiradito you've ever seen? It was overall a great tiradito, although the beet slightly overpowers the salmon flavor. This was my first time having ceviche frito (fried ceviche). It's apparently a fairly recent trend in Peruvian cooking where the seafood is marinated in leche de tigre (a la ceviche) and then fried. 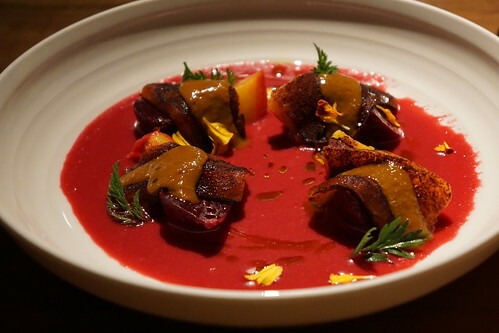 Adding this to the menu is a nod to the evolution of Peruvian cuisine. I recently tried a new spot in Northridge, Mambo International Kitchen. It's a casual spot owned by a Filipino family. In fact, the owner (and the ones who developed all the recipes), is the son of former Filipino president, Ramon Magsaysay. He had a jingle for his presidential campaign that had the line "Mambo, Mambo Magsaysay". It stuck as a nickname for the grandson, Raymond Magsaysay, when he was growing up and that's where the restaurant's name came from. 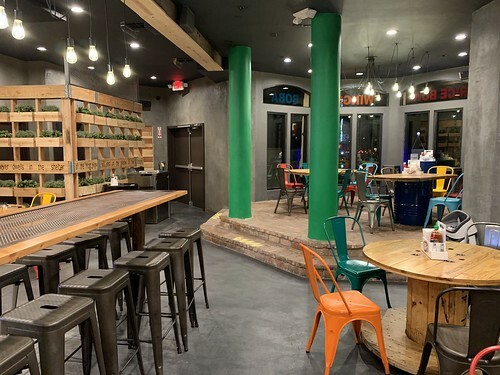 Mambo has build-your-own rice bowls, Chipotle-style, but there are signature rice bowls, tacos, and more you can order. 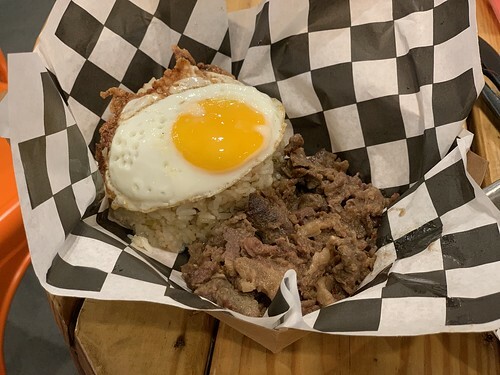 Being a Filipino-owned restaurant, there are of course Filipino dishes like tapsilog. It's typically a breakfast dish of beef tapa, garlic rice, and fried egg. 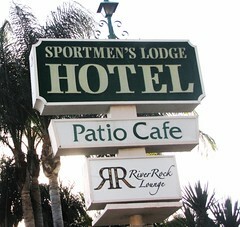 Sportsmen’s Lodge, once known as San Fernando Valley’s fixture for fine dining and celebrity scene, is banking on high-priced makeovers to boost more visitors and to compete with newer, much more contemporary venues opening up blocks away. The hotel – located strategically on Ventura Blvd and Coldwater Canyon Avenue - opened 52 years ago and was a popular hangout spot for movie writers, stars, producers – Clark Gable, Katherine Hepburn, Grace Kelly, and Humphrey Bogart are frequent guests. Rumor has it, these celebrities were very fond of the trout-fishing lake. They were given rods and bait to catch their fish and make dinner, courtesy of the lodge’s restaurant. However, in 1971, fishing activity at the lodge was shut down by the Department of Public Health due to the San Fernando earthquake.